-Mikel Obi returns from injury to boost Eagles’ qualification chances. -Gernot Rohr also hopes Vincent Enyeama will return to the Super Eagles’ squad. 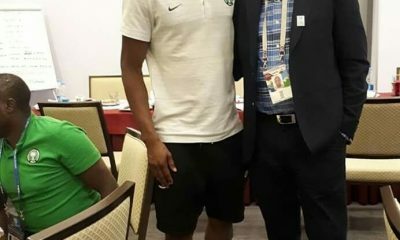 Super Eagles captain John Mikel Obi has has been out of action since April when he had surgery for a lingering abdominal strain but returned to action in his team’s 2-0 home loss to Hebei CFFC in a Chinese Super League match on Monday, August 14. 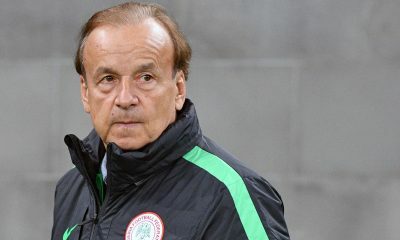 Mikel’s return gives a huge boost to Gernot Rohr as he leads the Super Eagles charge towards clinching a ticket for the 2019 AFCON championships. 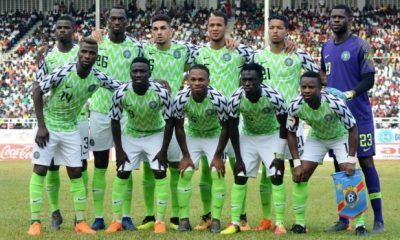 The Super Eagles will be eager to bounce back from a shocking 2-0 home loss to South Africa in a 2019 Africa Cup of Nations (AFCON) in June, with Rohr desperate to have his senior players for the games against Cameroon. Mikel too is looking forward to returning to the Super Eagles for the World Cup qualifiers and is confident that Nigeria can still grab the qualification ticket. “We are in a very good position in our group. We have two wins from two games, and in our last game we beat Algeria at home,” Mikel told the official website of FIFA earlier in August. 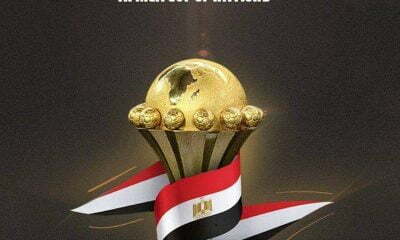 Nigeria will face host Cameroon in Uyo on Friday, September 1 before a return leg in Yaoundé on Monday, August 4. Meanwhile, Super Eagles coach Gernot Rohr, has expressed optimism over the possible return of Lille goalkeeper Vincent Enyeama to the national team but ruled him out of the crucial 2018 World Cup double-header against African champions Cameroon, scheduled for September 1 and 5 in Uyo and Yaoundé respectively. 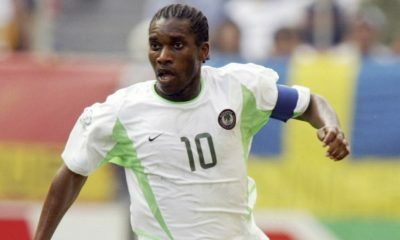 This is as disclosed in an interview with an Abuja radio programme Sports Ajasa. “The true position is, I have a good relationship with Enyeama. 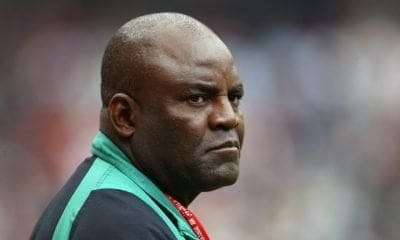 I heard there was a problem with the federation before I came in and I called him (Enyeama) and he said, ‘there’s a problem with the federation and I can’t come at the moment’,” Rohr said. “I called him again; and now I called him to get some news about his injury and I think the situation is a little bit different. Some players who didn’t want to come back to the national team, they can change their minds.